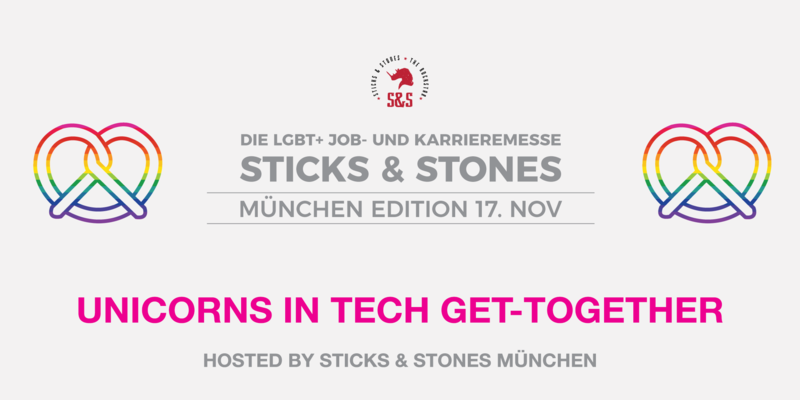 With more than 3,000 visitors per year, STICKS & STONES Berlin is Europe’s biggest job and career fair for lesbians, gays, bisexuals, trans people and straight allies. In 2017, we successfully brought our job fair to Munich for the first time. All our Get-Togethers are free of charge for UNICORNS IN TECH members. Become a UNICORNS IN TECH member here!